The water lay before me, a gradation of colour from sandy yellow to the palest of seafoam green to a blue that reminded me that navy doesn’t have to be dark, but simply deep. I proffered a toe, and the surf came up to greet me, lapping at my heels – cheeky then when it continued its surge forward, until it had tickled my calves, leaving them covered in a gentle spray. I laughed out loud, not caring in that moment if anyone had seen my flirtation with the sea. In the afternoon, it grew into a dalliance, while I was sailing over its surface past Lovers beach, where my master, the Sea of Cortez, met the Pacific. I realized then that it was an affair that had started 10 years ago, a sojourn to a strip of Mexico I had yet to experience. It was south of the border, the Baja Peninsula, below California. From the air, it looked an arid, cactus-dotted landscape, like a wizened branch of a tree reaching downward, pointing with a craggy length to the sea, split from its mother trunk, mainland Mexico to the east. It was time to reignite the spark. Separated from Mexico by the Gulf of California, it has taken its own shape. Mountainous, desert-like, emulating the just-north-of-the-border California, New Mexico and Arizona states in much of its makeup, and its climate – making it an ideal winter vacationing and snowbirding spot – rather than the more tropical and sometimes cloyingly humid leanings of the country of which it is part. At its fingertip, is Los Cabos, an area that is home to the cities of San Jose del Cabo and Cabo San Lucas. 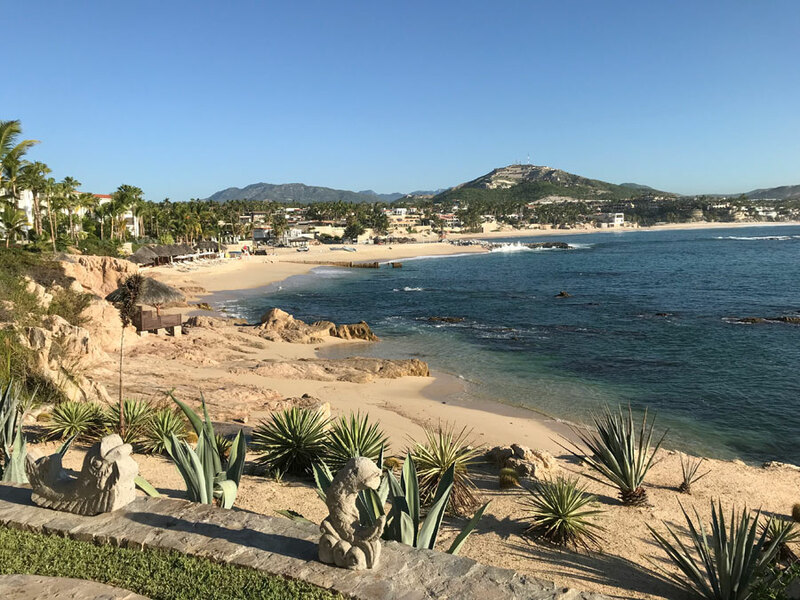 Yes, that Cabo San Lucas, the Ibiza of Mexico, the “Cabo Wabo” that rocker Sammy Hagar sings of, the long-time party playground of Californians looking for a weekend getaway. Rents for furnished accommodation can run from $400 to $1,000 depending on size and area. At press time, a Canadian dollar gets about 14 or 15 pesos. 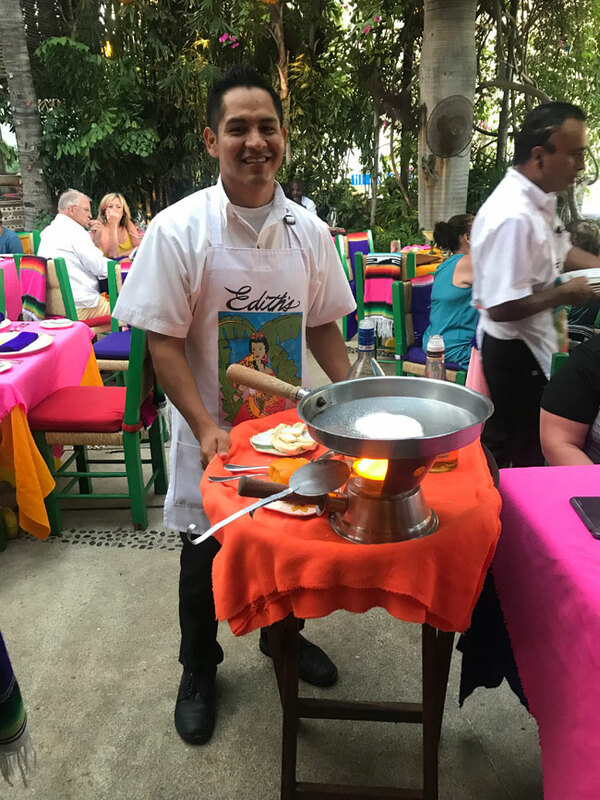 In Los Cabos, a dozen eggs might run you about 30 pesos. But this part of the country has broken from the typical Mexico mold. 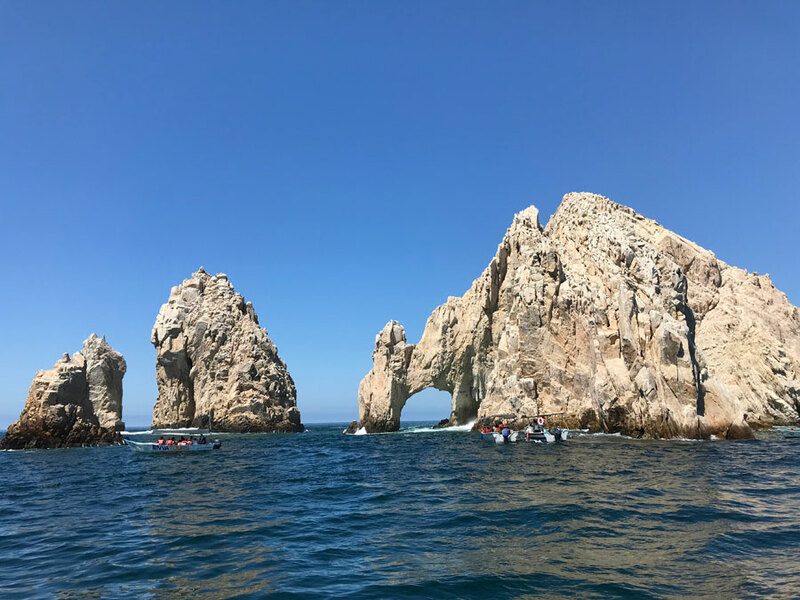 According to the Los Cabos Tourism Board, the crime rates have dropped significantly in the last year, as much as 90 per cent. That’s a good thing, as tourism has doubled in the area, outpacing mainland Mexico. The region has added more than 200 police to its force, and it is also set to become home to the country’s Marines, who took over the policing of the area in 2017. But their presence is subtle, with many of the high-end private businesses, resort and hotels investing in an infrastructure where security and hospitality go hand in hand, without being in your face. 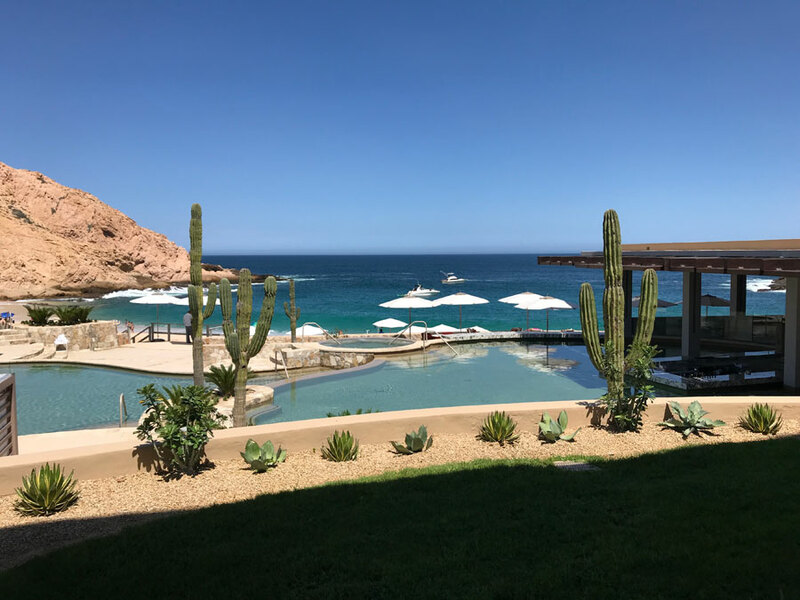 And when the likes of Ritz Carlton chooses the spot for its Reserve collection and Four Seasons plans on opening a third location, Los Cabos is looking worthy of investment. 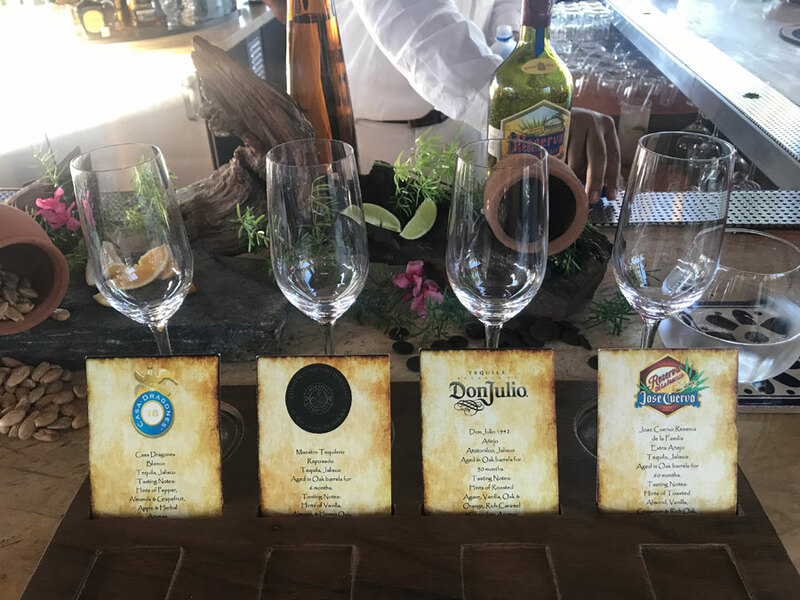 But yet, with all this in the offing, the place still feels just a little unspoiled, not the cheek by jowl resorts of all-inclusive Mexico. Just enough may also be another way to describe the subtleties of how nature and manmade meet here. Modern highways allow for speedy travel between San Jose and Cabo, nearly two dozen golf courses and world-class deep-sea fishing keep the active set happy, hotels and resorts that are some of the best in the four- and five-star world, without overpowering the landscape or the culture and locals who have a friendly sophistication that comes with knowing they live in a very unique place. The Sea of Cortez has been dubbed the “aquarium of the world,” by the sea explorer Jacques Cousteau. The label stuck. Yet, don’t be misled. 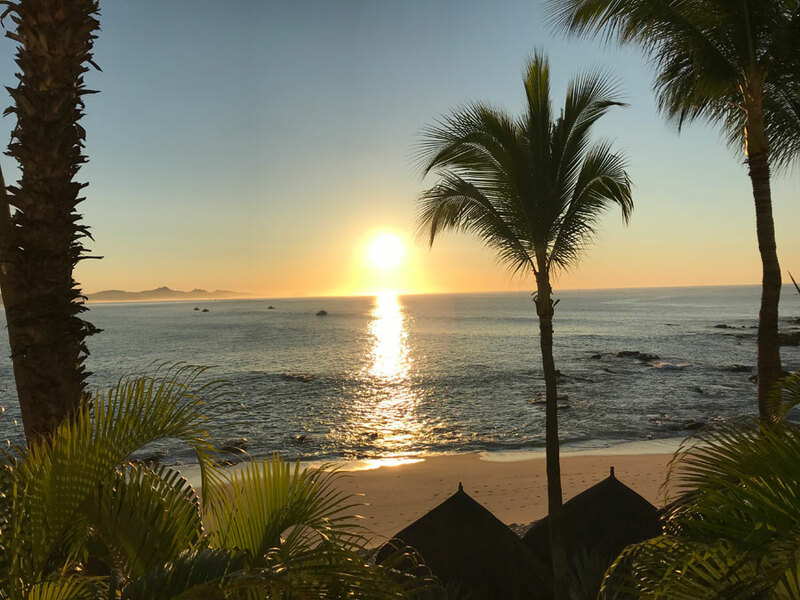 This is not a place for fly and flop, or for casual swimming, unless you’re on Santa Maria beach near San Jose del Cabo – but sailing and surfing and snorkelling and diving, with sea lions and whale sharks and definitely not for the faint of heart. An adventurous spirit and a strong swim stroke come with this territory. 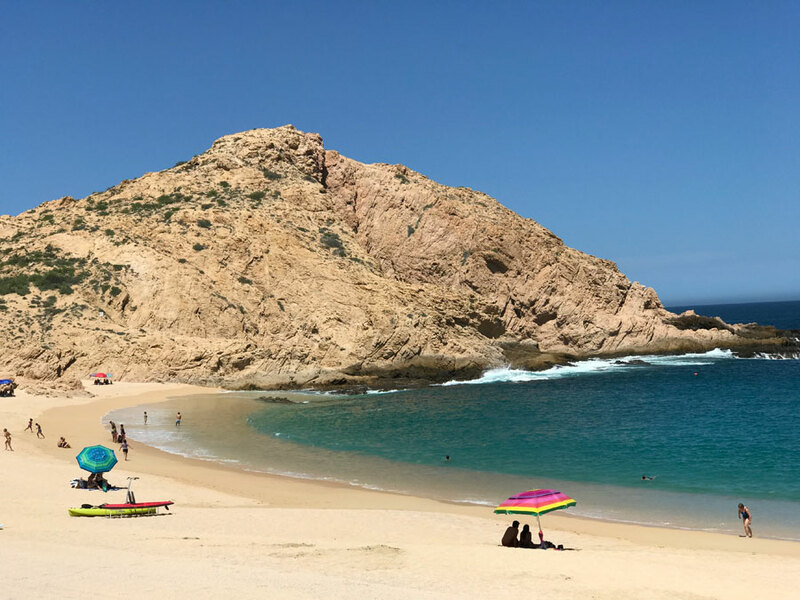 Santa Maria beach is a rare blue flag swimmable spot on a horseshoe-shaped cove, just off the Sea of Cortez. Hugging the cove is also the brand new Montage, a resort whose architecture is so seamless, it’s of the desert, not interrupting the desert. It’s the key to a sense of harmony with land and sea that vibrates and one that I sense almost immediately. 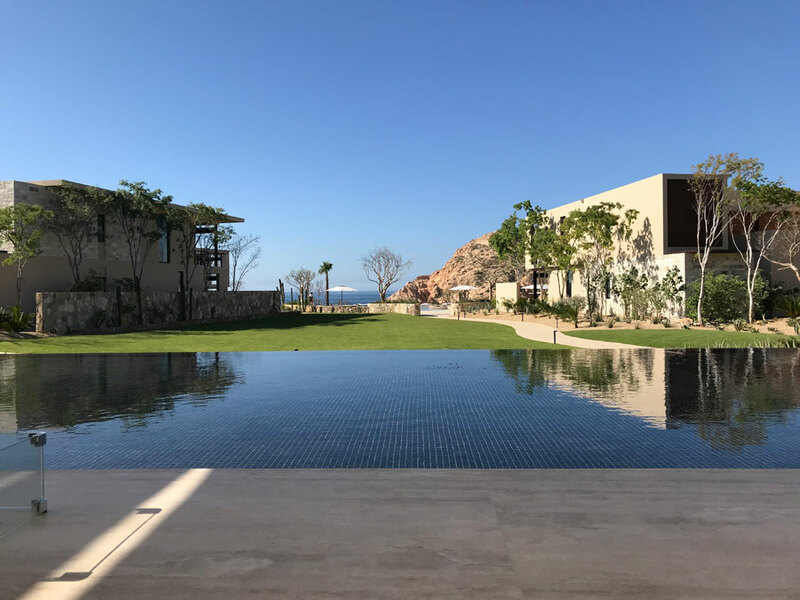 Sandstone paths and minimalist succulent desert gardens, green lawns and rooms that all face the bay and blue infinity pools overlooking the lively beach – a beach that’s also a local spot for families taking the waters. One afternoon, what looked like a flock of birds started skimming and jumping at the water’s surface, about 30 metres off shore. But it wasn’t birds. It was a group of smallish manta rays, leaping out of the sea and into the air as if trying to capture the sunshine with their fins. The rays reflected the sun, bouncing and sparkling just above the surf. Everyone on the beach was mesmerized. 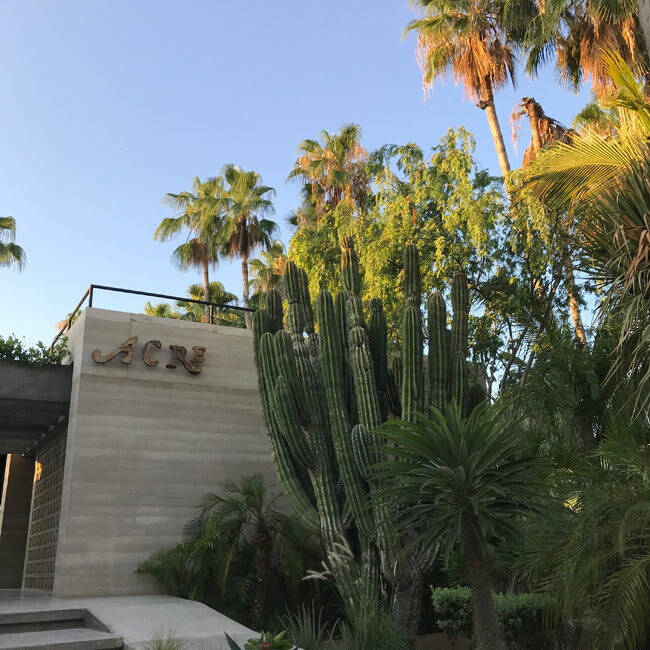 San Jose, on the other hand, is a community of artists, boutique hotels and a culinary hub, a town of colourful local architecture, navigable streets and a bright main square and gathering place over which the Catholic Mission San Jose del Cabo Añuití presides. 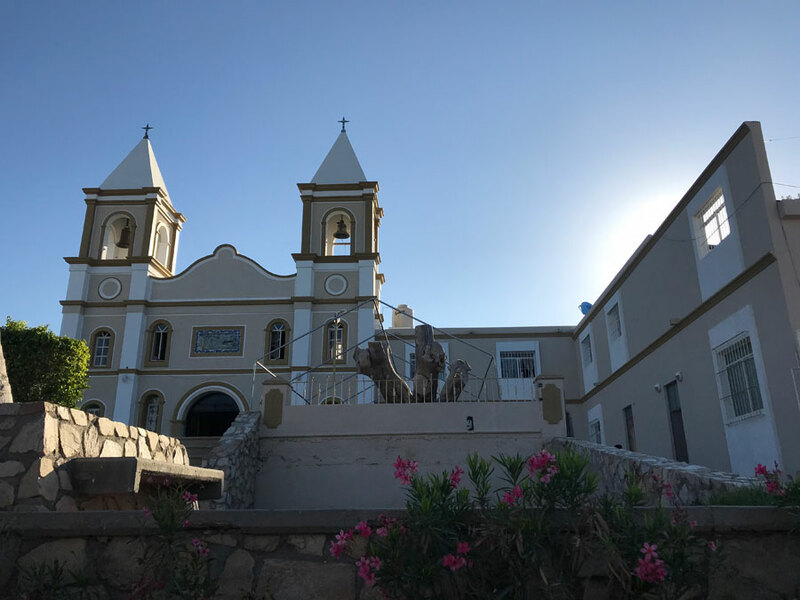 The mission, built in the 1700s, is dedicated to St. Joseph, but a nod to the Pericúes, the indigenous culture of the region, inspired its naming, Añuití, as the spot on which the church is built, was so called. Missionaries decided to stay and set up shop; they were key players in this part of the world, their influence stretching all the way up the California coastline. And stay, you should, as well. 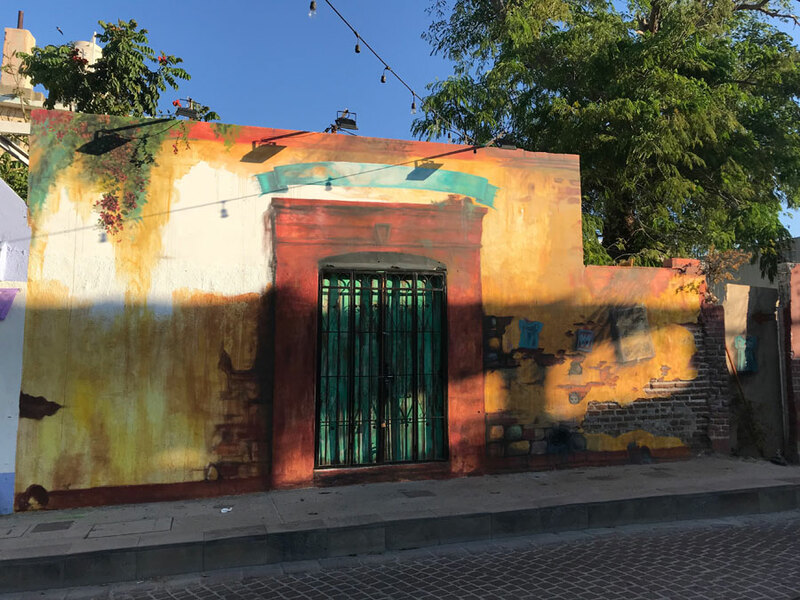 At least until Friday morning, because, on the last Thursday of every month, from October to June, San Jose del Cabo features an Art Walk, where the doors of the gallery district are flung open from 5:00pm to 9:00pm – along with handicraft and jewellery shops and restaurants. Ex-pat residents, snowbirds, local families and tourists drink in the artisan and folk culture, as well as the culinary offerings of this region. Fifteen galleries and six eateries populate the route, mapped out by Art Cabo (artcabo.com). It’s perhaps a kinder, gentler, safer Mexico than you might consider; a festival and an experiential way to mix and mingle with authenticity, flavour and thought-provoking art. Two piqued my interest. 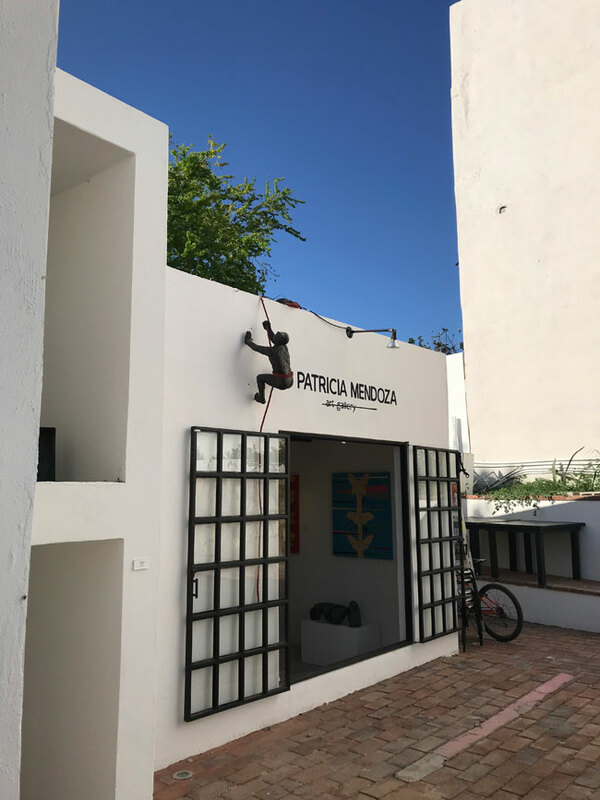 First, at Patricia Mendoza Contemporary Art, I met her daughter, an interior and industrial designer by trade, who was working with her mother to make the gallery a destination. Infuse it with design, not just art; local cuisine, not just a glass of wine while meandering through the gallery’s rooms. This multi-generational attitude is taking the space, which also features sculpture and ceramics, to the next level. A place to linger – and to learn more about art. At Enrique Bascón, the artist was in residence. 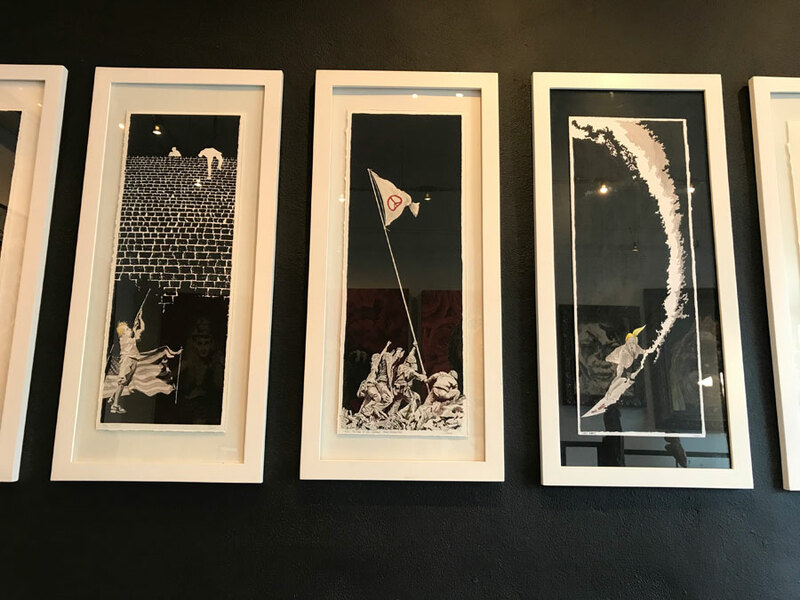 His work has a somewhat Banksy quality to it with a much heavier political-statement hand. He clearly is not a fan of Mr. Trump; but his political-cartoon-meets-multi-media style is fantastic and spans modern history, not just current affairs. Not so much in your face as subtle, the iconic Raising the Flag on Iwo Jima, transformed by a red peace sign in place of the stars and stripes; Trump surfing, but on the edge of knife with the words “wall addict” inscribed on it, tearing his way through rather than riding the wave; massive oil on wood triptychs that portray General Francisco Villa, aka Pancho Villa, the revolutionary leader in full regalia, but with the eerie spectre of death hovering nearby. But today, the only thing before me is whether I first stroll the beach or walk the gardens. 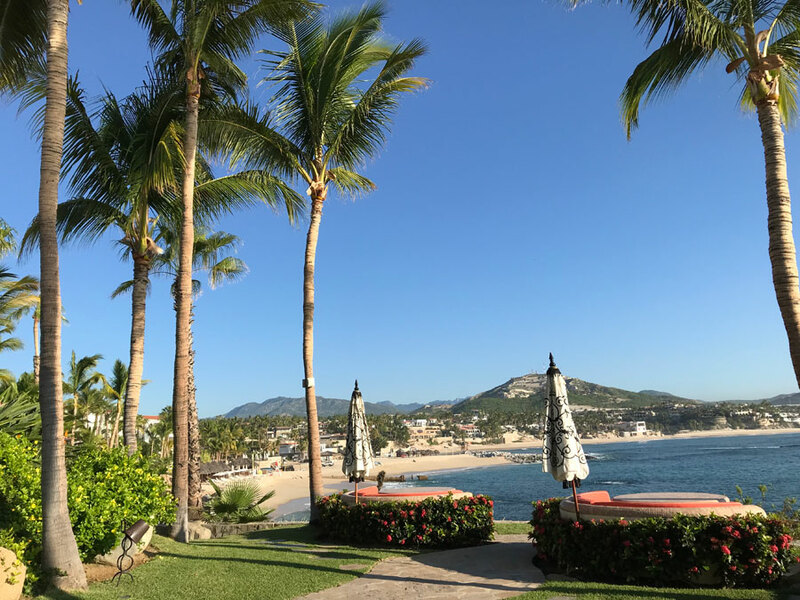 I’m soaking up my day’s worth of vitamin D at One&Only Palmilla, where I’m gladly being lead up the garden path, cutting a swath through some of the most beautiful and thoughtful flora I’ve ever seen. It’s a path that, in the ’50s, when it was a 15-room property only accessible by boat or plane, the likes of John Wayne, Bing Crosby and Lucille Ball walked; latter-day celebs such as Jennifer Aniston and John Travolta have been known to celebrate milestones, come for the spa and yoga, and book the villas facing the sea. But I digress. The gardens are my focus. Colourful birds of paradise sidle up to needle-laced cactus, palm trees of all shapes and heights sway over spiky blue agave with leaves as long as my arm.